The most important part of any building project is affordability, and using an independent cost estimating service is important when planning a self build or renovation project. An independent estimate will provide a benchmark price, which can be used to price-check builders’ quotes and material costs. It will help you check the affordability of your building project, and will allow you to set a budget which can be scrutinised down to the last nail and pipe clip. Understanding how build costs are calculated and having confidence in their accuracy will give you an advantage. Access to market rates for both labour and materials – by estimating build costs – is powerful knowledge. In 2001 we created the first labour and materials database, specifically designed for domestic building works, Estimators Limited. Trade customers update prices online every day. We know the current trade costs of building products, anywhere in the UK, and trade labour rates in any postcode. We are the only estimating company in the UK that doesn’t use builders’ merchant prices, too. Our independent database has become the benchmark for small builders. Self builders are also benefitting (we have recently completed our 40,000th self build estimate — a powerful milestone that generates huge confidence in our services). Virtually all builders’ merchant trade customers pay different rates — it all depends on trading history, purchase volume and credit limits. So, when the time comes to purchasing materials, who sets the benchmark for self builders? The average self build spend on materials is £84,000, excluding kitchen and bathroom fittings. Builders’ merchants want your business and should offer you better prices than trade. Why? Because trading history and credit limits do not apply to self builders. If you’re aware of current prices – by estimating build costs in advance – you are at a distinct advantage when negotiating with builders’ merchants — you will blend in with the ‘trade crowd’. Using a service such as ours will provide you with the local market trade rate for every product to complete your build. A typical estimate costs less than one tenth of one percent of the average build cost — an investment worth making. 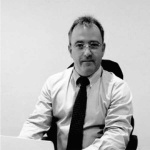 Steve Whitby is managing director of Estimators Ltd, the UK’s leading building estimating service.